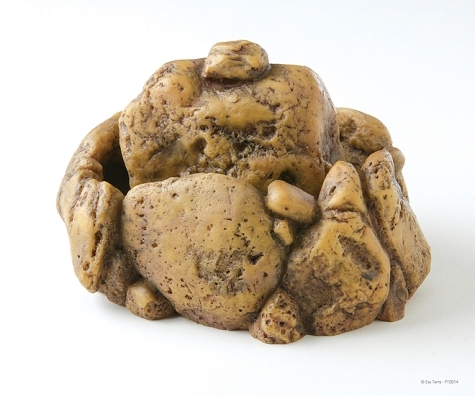 The Exo Terra Reptile Fountain is a unique water dish that supplies your reptiles and amphibians with a continuous supply of fresh, clean, aerated drinking water. Many reptiles do not recognise stagnant water as a source of drinking water. The Reptile Fountain s constant movement of water tumbling down from the rock, encourages reptiles to drink more, keeping them healthy and hydrated. The continuously flowing water raises humidity levels in the terrarium.